A collection of original content and storytelling that brings the world of lacrosse to you like never before. Player produced, player focused. Lyle Thompson admits that too much of one thing can sometimes make it easy to lose focus on why you fell in love in the first place. That's why anytime he's getting in his reps, he makes sure to keep it simple, keep it fun, and keep it creative. 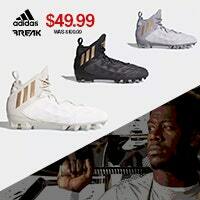 Shop Nike Lacrosse Gear: https://lacrosseunlimited... Follow us on social media: Facebook: https://www.facebook.com/... Instagram: https://www.instagram.com... Twitter: https://twitter.com/LAXUN... Original content from Lacrosse Unlimited and lacrosse players from around the world. 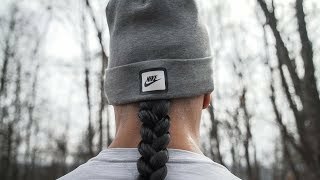 Miles Thompson's on strengthening your weaknesses. 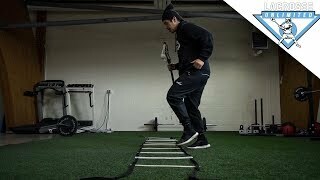 He may not be the fastest on the field, but Miles Thompson has never let that part of his game slow him down. He talks to us about how he leans on this strengths, but always works to improve his weaknesses. 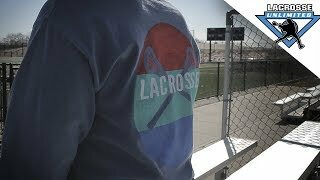 The Newest From Nike Lacrosse: https://lacrosseunlimited... Follow us on social media: Facebook: https://www.facebook.com/... Instagram: https://www.instagram.com... Twitter: https://twitter.com/LAXUN... Original content from Lacrosse Unlimited and lacrosse players from around the world. 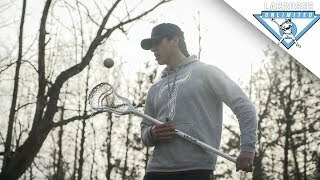 Hiana Thompson talks about using the game of lacrosse to heal his mind. 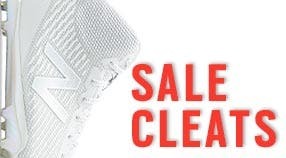 Shop Nike Lacrosse: https://bit.ly/2UIFDIK For all your lacrosse needs: www.lacrosseunlimited.com Follow us on social media: Facebook: https://www.facebook.com/... Instagram: https://www.instagram.com... Twitter: https://twitter.com/LAXUN... Original content from Lacrosse Unlimited and lacrosse players from around the world. 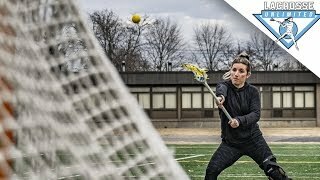 We got together with True athlete and former Northwestern star, Christina Esposito, to talk about how she uses time on the field to mentally prepare for game situations. Shop Christina's set up: https://bit.ly/2FsA77Q For all your lacrosse needs: www.lacrosseunlimited.com Follow us on social media: Facebook: https://www.facebook.com/... Instagram: https://www.instagram.com... Twitter: https://twitter.com/LAXUN... Original content from Lacrosse Unlimited and lacrosse players from around the world. Jeremy Thompson talks about connecting to the game of lacrosse on a spiritual level. Shop Nike lacrosse: https://bit.ly/2UIFDIK In partnership with Nike Lacrosse. 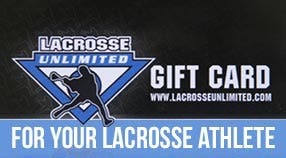 For all your lacrosse needs: www.lacrosseunlimited.com Follow us on social media: Facebook: https://www.facebook.com/... Instagram: https://www.instagram.com... Twitter: https://twitter.com/LAXUN... Original content from Lacrosse Unlimited and lacrosse players from around the world. Don't settle for greatness, seek legendary. Nike Lacrosse and Thompson Brothers Lacrosse team up again for the 2019 season. 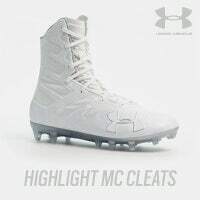 Shop Nike Lacrosse: https://bit.ly/2Hv8psH For all your lacrosse needs: www.lacrosseunlimited.com Follow us on social media: Facebook: https://www.facebook.com/... Instagram: https://www.instagram.com... Twitter: https://twitter.com/LAXUN... Original content from Lacrosse Unlimited and lacrosse players from around the world. Playing in both the indoor and outdoor game can be a challenge when developing a training routine. 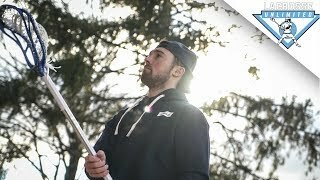 Here's how Kieran McArdle approaches his workouts for both the PLL and NLL. Shop Kieran's set up: Head: https://bit.ly/2G5sFR1 For all your lacrosse needs: www.lacrosseunlimited.com Follow us on social media: Facebook: https://www.facebook.com/... Instagram: https://www.instagram.com... Twitter: https://twitter.com/LAXUN... Original content from Lacrosse Unlimited and lacrosse players from around the world. 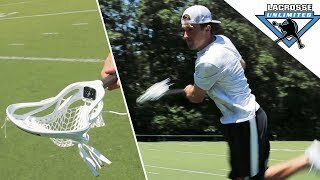 Consistency, footwork, and reps. PLL attackman Justin Guterding talks about his focuses when hitting the wall. Shop Guterding's setup: Head: https://bit.ly/2TAG4no Handle: https://bit.ly/2C6jKet For all your lacrosse needs: www.lacrosseunlimited.com Follow us on social media: Facebook: https://www.facebook.com/... Instagram: https://www.instagram.com... Twitter: https://twitter.com/LAXUN... Original content from Lacrosse Unlimited and lacrosse players from around the world. 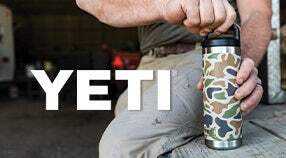 All you need to know about the latest and greatest products on the market. 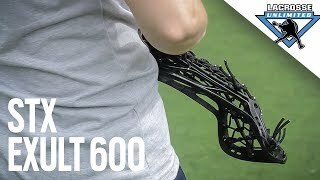 Rachel sits down to quickly go over the key features of the new STX Exult 600 women's head. 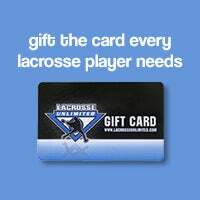 Get yours now: https://bit.ly/2qTKud3 Make sure you’re SUBSCRIBED and are following us on social media: Facebook: https://www.facebook.com/... Instagram: @lacrosseunlimited Twitter: @laxunlimited Original content from Lacrosse Unlimited and lacrosse players from around the world. Rooney steps out of the dye lab to take a quick look at the new Nike Vapor Elite head. 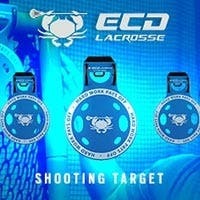 Get yours today: Head: https://lacrosseunlimited... Dye: https://lacrosseunlimited... Make sure you’re SUBSCRIBED and are following us on social media: Facebook: https://www.facebook.com/... Instagram: @lacrosseunlimited Twitter: @laxunlimited Original content from Lacrosse Unlimited and lacrosse players from around the world. 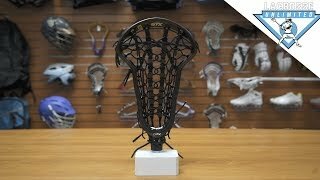 Rooney is back to discuss the new features and improvements on the STX Duel II faceoff head. Get yours today: STX Duel II: https://lacrosseunlimited... Tell us what you think below. Make sure you’re SUBSCRIBED and are following us on social media: Facebook: https://www.facebook.com/... Instagram: @lacrosseunlimited Twitter: @laxunlimited Original content from Lacrosse Unlimited and lacrosse players from around the world. Our cameras recently went behind the scenes at Maverik's 2018/19 product shoot in Holtsville, NY. See what it's like to film with Jordan Wolf, Joe Walters, Nick Mariano, and CJ Costabile. 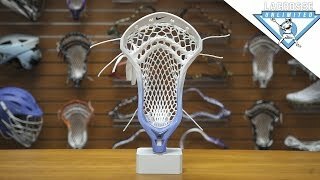 Shop Maverik Now: https://goo.gl/12o27b Make sure you’re SUBSCRIBED and are following us on social media: Facebook: https://www.facebook.com/... Instagram: @lacrosseunlimited Twitter: @laxunlimited Original content from Lacrosse Unlimited and lacrosse players from around the world. 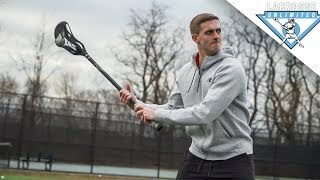 We got together with Ohio Machine attackman, Justing Guterding, to see if the new STX Ultra Power really does increase your shot speed. 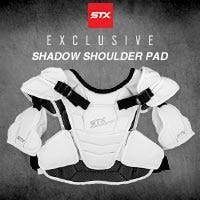 Get Your STX Ultrapower Today: https://lacrosseunlimited... Make sure you’re SUBSCRIBED and are following us on social media: Facebook: https://www.facebook.com/... Instagram: @lacrosseunlimited Twitter: @laxunlimited Original content from Lacrosse Unlimited and lacrosse players from around the world. Our own Rachel-O was able to take the new STX Exult 600 out for a field test, and she was not disappointed. Built for versatility, the Exult 600 is a great option for the player who does it all on the field. Stop by your local Lacrosse Unlimited and see for yourself or pick one up online today. 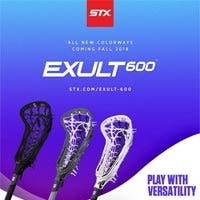 Shop The STX Exult 600: https://lacrosseunlimited... Make sure you’re SUBSCRIBED and are following us on social media: Facebook: https://www.facebook.com/... Instagram: @lacrosseunlimited Twitter: @laxunlimited Original content from Lacrosse Unlimited and lacrosse players from around the world. 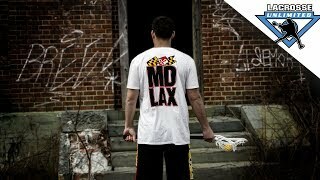 Shop The UA Command 2.0: https://lacrosseunlimited... Shop Maryland Lacrosse Gear: https://lacrosseunlimited... Make sure you’re SUBSCRIBED and are following us on social media: Facebook: https://www.facebook.com/... Instagram: @lacrosseunlimited Twitter: @laxunlimited Original content from Lacrosse Unlimited and lacrosse players from around the world. Ever have trouble getting your helmet to fit right? First time playing lacrosse and not sure how to size your helmet properly? 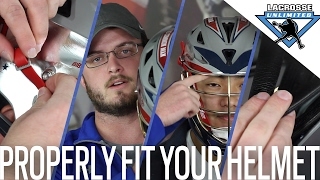 Rooney and Wu are here with the answers, as they go over how to properly fit a lacrosse helmet. 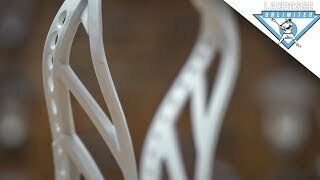 Shop The Best Lacrosse Helmets: https://lacrosseunlimited... Still have questions? Drop them down in the comments so we can help you out! Make sure you’re SUBSCRIBED and are following us on social media: Facebook: https://www.facebook.com/... Instagram: @lacrosseunlimited Twitter: @laxunlimited Original content from Lacrosse Unlimited and lacrosse players from around the world.